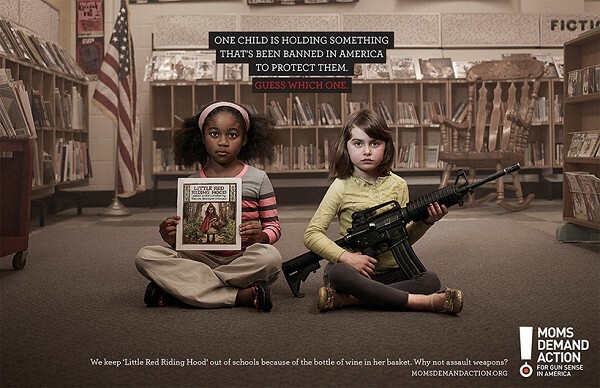 Choose One: Little Red Riding Hood or An Assault Weapon? We keep “Little Red Riding Hood” out of schools because of the bottle of wine in her basket. 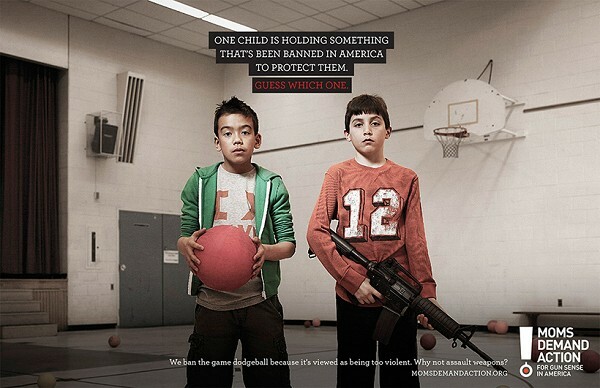 We ban the game dodgeball because it’s viewed as being too violent. Why not assault weapons? 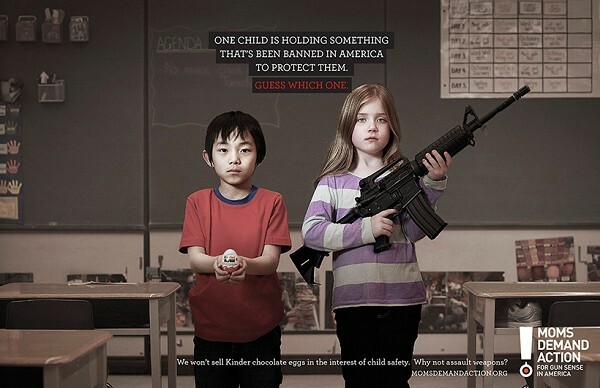 Moms Demand Action announces new PSA campPaign, “Choose One,” a series of print ads featuring assault weapons alongside other objects that have been banned in America to protect child welfare.